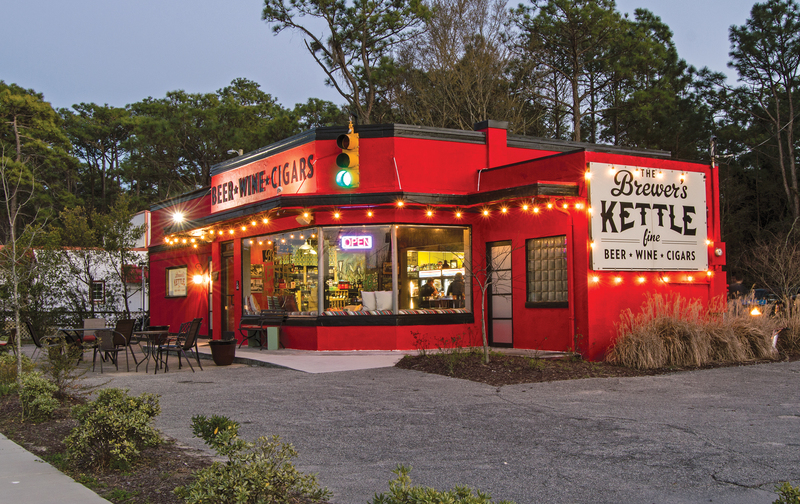 Located in a mid-century service station in front of Hugh MacRae Park, The Brewer’s Kettle offers plenty of inside and outside seating with a comfortable and eclectic feel. Enjoy the gas fire pits on cool evenings or the covered patio with fans on warmer ones. They feature DJs and live music to complement your choice of libation. Choose from hundreds of ales and lagers, wine-by-the-glass, or pick a bottle and chill it in their wine well. At The Brewer’s Kettle you can plan your whole evening of relaxing fun with their new food truck, exclusively here to serve you in a unique bottle shop experience.